Story: In September of 1972 an unprecedented terrorist attack unfolded live before 900 million television viewers across the globe and ushered in a brave new world of unpredictable violence. At the center of the story is the young Israeli patriot and intelligence officer Avner. 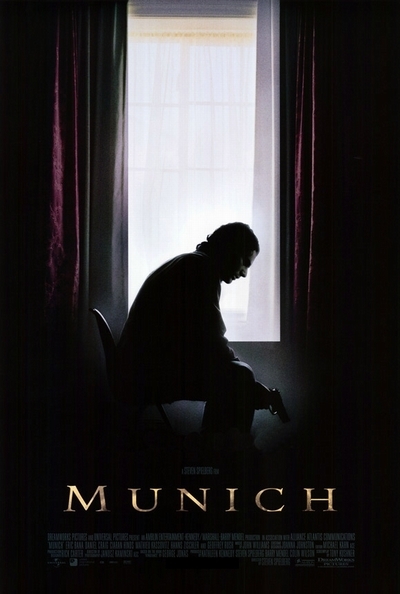 Still mourning the Munich massacre and infuriated by its savagery, Avner is approached by a Mossad officer named Ephraim who presents him with an unprecedented mission in Israeli history. He asks Avner to leave behind his pregnant wife, relinquish his identity and go completely underground on a mission to hunt down and kill the 11 men accused by Israeli intelligence of masterminding the murders at Munich. Despite his youth and inexperience, Avner soon becomes the leader of a team of four very diverse yet highly skilled recruits: the brash, tough, South African-born getaway driver, Steve; the German Jew Hans, who has a flair for forging documents; the Belgian toymaker-turned-explosives-expert, Robert; and the quiet, methodical Carl, whose job is to 'clean up' after the others.